In order to offer a wider range of international flights on Fliggy, one of Chinas leading online travel malls, Chinese travel agency Wangyi has signed an agreement with German software and content provider HitchHiker. As of late, travellers departing out of China will have access to a wider range of available flights provided by HitchHiker through fliggy.com, the travel division of China’s leading market place Alibaba. As a content provider, HitchHiker aggregates content from 120 direct airline connections and various wholesalers. Wangyi air tickets service co., LTD is an IATA accredited travel agency based in Chongqing and a store partner of fliggy.com, who acts as a merchant for HitchHiker’s flight content. Today, the scope of the cooperation between HitchHiker and Wangyi includes online booking of Asian low-cost carriers such as Hong Kong Express, Jetstar and Scoot but also airlines outside of Asia such as the Romanian carrier Blue Air and the Dutch Transavia. Further international carriers like British Airways, TUI fly Belgium and Canada’s Porter Airlines and others will follow soon. 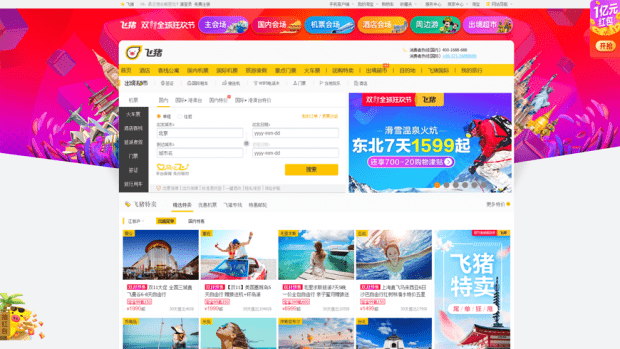 Wholesale content from local agents is supposed to broaden the range of available bargain airfares for Chinese travellers even more.